Steve Jobs was a man of many talents who revolutionized the world of technology. He was a pioneer, an inventor, and an entrepreneur who started a company in the garage of his parent’s house, and turned it into a billion dollar powerhouse that employs over 80,000 people worldwide. Whether you are an Apple fan boy or not, you can’t deny that he was an icon of his time, and idol, and a powerful leader who even built up a close relationship with one of his main rivals, Bill Gates. People all across the world would eagerly await his keynote presentations, and formed huge queues outside Apple stores to buy the latest iPhone’s and iPads on offer. He changed the way people think by thinking differently himself, and his perfectionism and attention to detail made us love him. It has been over two years since Steve Jobs passed away, but he still continues to influence many businesses from small to large, and many people from big CEO’s to just starting out entrepreneurs. 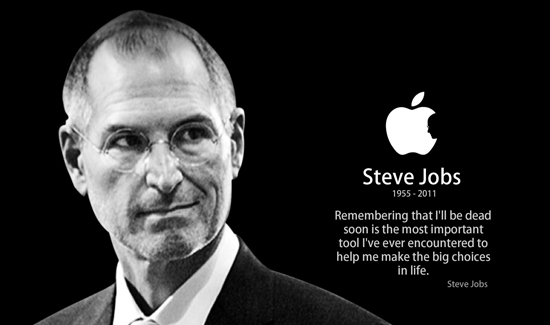 So as a tribute to Steve, here are 10 of the most poignant quotes to help motivate and inspire you.